I’m in the 1% of the population who’ve never watched a single episode of Game of Thrones (I know, sorry) but I do plan to binge as much of it as possible before Season 8 arrives (mostly because I have FOMO). With all the excitement surrounding the return of Game of Thrones in April for its last ever, official season, Adidas has made a clever PR move by launching a range of themed trainers surrounding the hugely popular, fantasy drama series. There are different designs in the range that represent different houses or groups of individuals from the series, including: White Walkers, Night’s Watch and the Targaryens’ Dragons, along with House Targaryen, Stark and Lannister. 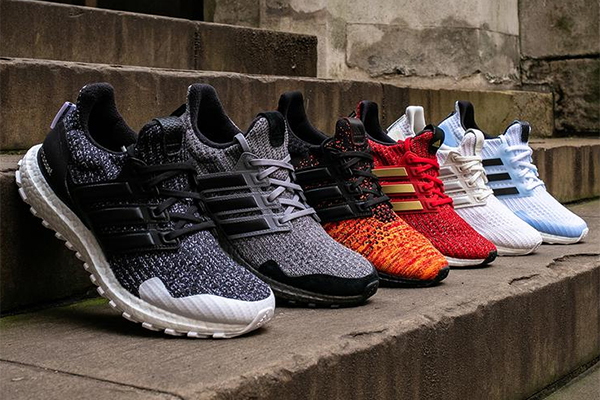 The Adidas x Game of Thrones range is modelled on the Ultra Boost 4.0 running shoe and retails at £149.95. They’ve picked up coverage on the likes of the Metro, Esquire, The Sun, Gizmodo, T3 and more over the last week or so and will probably be selling out quickly, no doubt. On Monday this week, a British Airways plane bound for Düsseldorf landing in Edinburgh; not because of any kind of emergency or mid-flight altercation between passengers, but simply because flight-plan paperwork wasn’t filed correctly, which led to the monumental mistake. BA quite rightly got some stick for this, because how exactly does that happen without anyone realising at least half way to Edinburgh? However, if you think this week’s bad PR nod goes to BA, you’d be wrong. 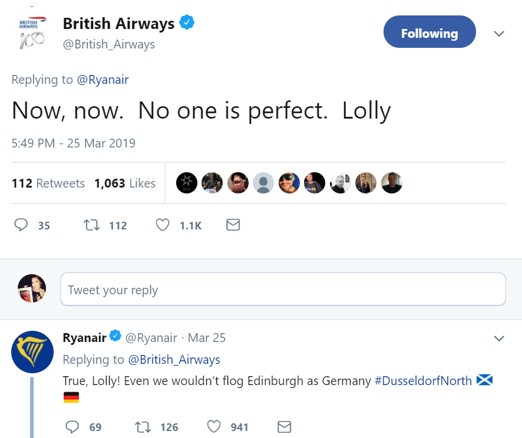 This backfired spectacularly, because an airline that’s held in such low esteem as Ryanair is, is certainly in no place to call out another airline for anything. Ever. 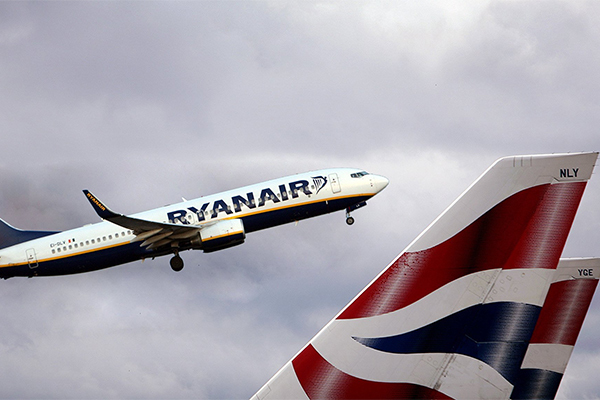 The backfiring of Ryanair’s dig at BA was covered by plenty of media outlets, which completely distracted people from BA’s failing and just made Ryanair look a bit stupid.